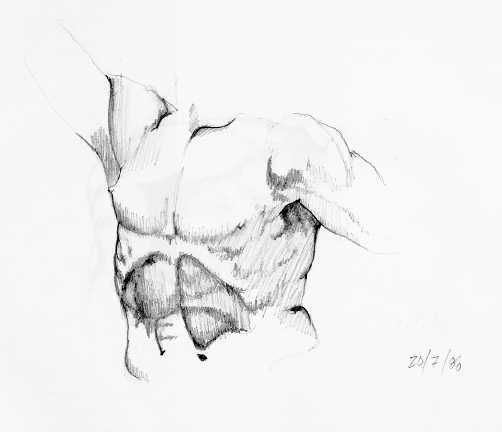 I sketched this in the art museum sculpture room in downtown Rio de Janeiro. It was a particial bust and I was doing live human body drawings at the time in Parque Lague, the incredible art school at the foot of Corcovado in Rio. Drawing done in 1987. I put the wrong date down when drawing. I didn’t move to Rio until 1987 and was not there in 1986.